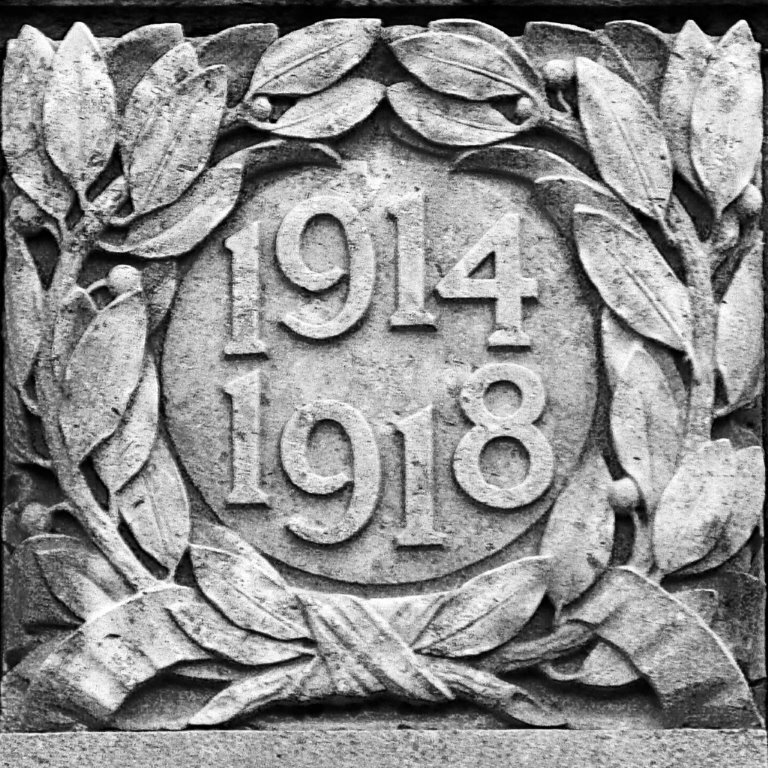 A Parish Meeting was held at the Town Hall, Midhurst on 27 November 1918 to consider what preliminary steps should be taken in Midhurst to celebrate the Ratification of Peace. It was resolved that the local celebrations would be confined to the Parish of Midhurst and that adjoining Parishes should not be invited to co-operate. It was decided that nominations for the formation of a Committee would be left to the Parish Council. Suggestions were made for the celebrations: some permanent memorial be erected and that the children of the Parish be especially entertained on the day of the celebration. The Report of the War Memorial Committee was received at a Public Meeting held at the Town Hall on 7 April 1920. The Chairman of the Parish Council, Mr T E Stephens, was in the Chair and also present was Major Harding Newman on behalf of Major The Hon H M Weetman Pearson. There was a good attendance of Parishioners. The Chairman said that it appeared that the estimated cost of the Memorial exclusive of the site was £493.12.6. He was asked if that sum included the fees payable to the Architect for the design of the Memorial and for the supervision of its erection. The Chairman said he presumed the sum did not include those fees. The design of the Memorial was submitted to the meeting. It was resolved that the Meeting approved the design by Sir Aston Webb PRA of the proposed War Memorial to be erected opposite the church and undertook to use its best endeavours to raise the necessary funds. The Meeting resolved that it placed on record appreciation of the offer of Major Harold Pearson to present to the Town, as a War Memorial, such of the island sites that he owned (presumably land between the church and Red Lion Street). 1. All who had joined up from Midhurst or being in His Majesty’s Forces had their homes in Midhurst. 2. All those who had no other settled home than Midhurst and are not commemorated in any other Parish. 3. All those equally connected with Midhurst and some other Parish whose friends prefer them to be commemorated on the Midhurst Memorial and undertake that they will not appear on any other local parish memorial. 4. All Midhurst men who died since the Armistice from wounds, or disease, certified by the authorities as attributable to the War. It was also resolved that the relatives should be consulted as to which Christian name should be placed on the Memorial in full, where a man had more than one such name and that all names for the Memorial be sent to Mr W Werry, the Honorary Secretary to the Memorial Committee. Suggestions were made as to a method of house to house collection by envelopes, that a copy of the sketch of the proposed Memorial be exhibited in the Town and that a model of the Memorial be erected on the site. It was resolved that the Memorial Committee be authorised to arrange for the collection of subscriptions forthwith. 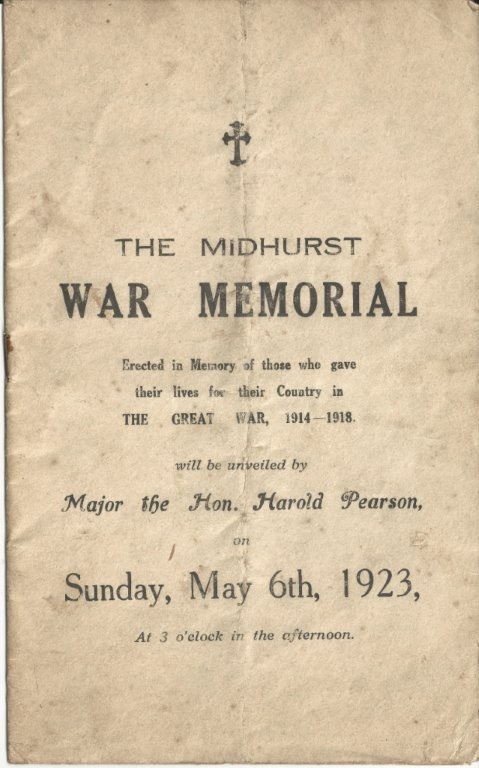 In response to an enquiry during a meeting of the Parish Council on 22 August 1921 it was said that as far as was known, Mr P Oliver intended to commence the Midhurst War Memorial as soon as he had completed the memorial at Easebourne. Sir Aston Webb’s work earlier in the century had included the design of Admiralty Arch and the refronting of Buckingham Palace. Between 1913 and 1920 he had been commissioned by Weetman Pearson to make major extensions to his property, Dunecht House, in Aberdeenshire. He had also designed cottages in Easebourne for Lord Cowdray and was the architect for the Easebourne War Memorial. Percy Oliver (1885-1949) was born in Heyshott and at the time of the 1901 census was a stonemason living in June Lane, Midhurst with his parents. Ten years later he was living in Bepton Common Road, Midhurst with his wife Ethel and three children. The name of Percy Oliver appears on the Memorial Panels in Midhurst Parish Church. His name is in the WW1 Medal Rolls Index as having served in the Royal Sussex Regiment and the Labour Corps. 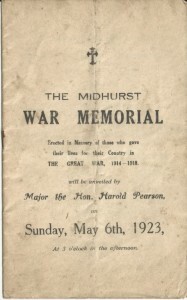 At 3 o’clock in the afternoon of Sunday 6 May 1923 the Midhurst War Memorial was unveiled by Major the Hon Harold Pearson. The Vicar of Midhurst, the Reverend Frank Tatchell, dedicated the Pillar and Cross to the Glory of God and in proud and loving memory of the men of the town who gave their lives for England in The Great War. The Wesleyan Pastor and the Congregational Minister took part in the service. After the Dedication, the Last Post and Reveille were sounded followed by the hymn ‘O God our help in ages past’ and the Blessing. Major Pearson then asked the Chairman of the Town Trust to receive the Monument from the subscribers as a gift to the Town for ever. The Memorial is aligned on the axis of the nave of the church and positioned midway between the carriageways of Church Hill. It consists of a square pillar set upon a square plinth which stands on an octagonal base of two steps within a kerbed, cobbled area. It has been constructed from dressed sandstone, probably from a local quarry. The top of the pillar has a moulded cornice and is surmounted by a cross of carved limestone. 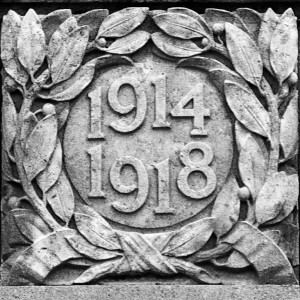 The names of fifty men together with their regiments or service are inscribed on panels of limestone which have been fixed to the north and south faces of the pillar. Between the cornice and the top panel on both sides is a cartouche of a wreath of laurel leaves surrounding the dates 1914 and 1918. Subsequently, panels to commemorate the fallen of later conflicts have been added to the plinth of the Memorial. The Memorial remains in the care of the Town Trust.